In my spare moments I sit at the dining room table trying not to think about certain unthinkable subjects by reading one fine cookbook, then switching to the other. I really want to buy a sausage grinder so I can make chorizo. . . gosh, look at this, a recipe for mascarpone. . . mmm, slow-roasted pork belly. . . with panna cotta for dessert? Anyway, I've decided to do both books. They make a great pair -- sharp, single-subject books by women who wear glasses. Just like me! Plus, they complement each other, as McLagan is short on enticing desserts once you depart the butter section (though apparently there's bacon baklava in my future) while Mendelson isn't as strong on entrees. So, that's the new plan. A question: While it's nice to live in a world where people can choose "Torn Between Two Lovers" as their ring tone, can you imagine ANY scenario where that would be a smart choice? Torn Between Two Lovers was a great, great song in its time. But I agree that it is not a wise choice for a ring tone. 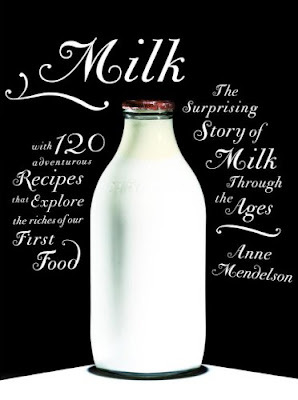 Is there a book called Milkfat that you could review? Just wondering if you have found a recipe for creme fraiche. I live in a smaller town in Eastern Wa and nobody wants to carry it. This book is one you'll enjoy reading from cover to cover. 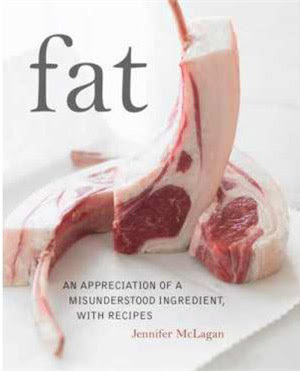 I'm no expert cook but I'm going to cook with more sense and more flavor and fewer fears that "fat is bad for me." Thank you, Jennifer McLagan for your gift to us.